Ever wondered how Life Design Coach Tiare Thomas came to start Aloha Dreamboard? 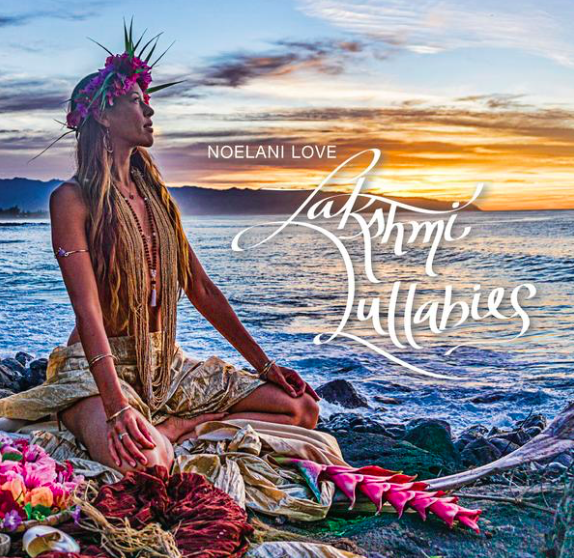 Ask yoga instructor, jewelry designer, musician and mother Noelani Love. Originally from Charlotte, North Carolina, Noelani spent her summer vacations with her grandparents in Hawaii and fulfilled her dream of moving to Hawaii after college. “It is where my heart felt happiest.” Sure enough, the move to Hawaii pushed the beginning of her blooming into the beautiful, inspiring and empowering woman that she embodies today. Noelani did not waste any time as she jumped into starting her professional modeling career and continued building her jewelry business. The dreamer has always considered herself as an artist and started making jewelry as a side hobby. While she attended college, she became inspired to participate in a service trip to Nicaragua and used her jewelry to help fundraise for the trip. The young entrepreneur sold her jewelry in the cafeteria where she realized that it could become a lucrative business. Sure enough, when she moved to the North Shore, she continued making jewelry, selling at craft fairs and farmer’s markets. Eventually the business grew tremendously to the point where she received the opportunity to have a storefront. Within a year of her move, Noelani met her son’s father and became pregnant at the age of 24. While going through the process of planning her son’s birth, the young woman yearned to find other pregnant women to connect with as she did not have any friends within her circle who experienced pregnancy. One day, she came across a sign for pregnancy yoga classes and decided to try it out so she could become friends with other pregnant women who could understand her experiences as a first time pregnant woman. When deciding on how to give birth to her son, Noelani originally planned on going to the hospital until her neighbor talked about the possibility of having a home birth. After doing some research on her own, the expectant mother decided on giving birth from the comfort of her own home. “It was a super empowering experience. Many women have no idea how powerful they are because they are not given the opportunity to experience their power.” Reminiscing back to the experience, the proud mother explains how she hired a midwife to help her through labor and could do whatever she wanted to do while going through the labor pains including going on a walk at the beach and tending to her garden because of the breathing education she received beforehand. Because of this experience, Noelani has become inspired to also help women tap into the same empowering experience and hopes to assist them through the process by teaching breathwork, toning and yoga for expectant mothers in the future. When she returned to Hawaii, Noelani opened up her own yoga studio and retail shop to teach yoga and showcase her jewelry designs. Shortly after giving birth to her son, this newborn mother decided to learn how to play the ukulele, taking lessons at Haleiwa Beach Park. She eventually took what she learned to her yoga classes, sharing yogic mantras from yoga teacher training while playing along with the ukulele at the end of each class. She would even sing mantras to her son as a baby. The aspiring musician dreamed of performing for larger audiences, and one day recording an album. Surely enough, she received an invitation to attend and teach yoga and play music at Wanderlust Festival, along with an invitation to assist a friend at a women’s yoga retreat in Bali. During her stay in Bali, the yogini attended an ecstatic dance event at a yoga studio and met a producer who gave her the opportunity to record music for her album of mantra music. “These sacred mantras have very special meanings that are activating us and connecting us to all of the qualities of creation and consciousness so I sang them to Aukai.” Her passion for mantras became the driving force behind recording an album of ancient chants from yoga lineage and two Hawaiian chants. 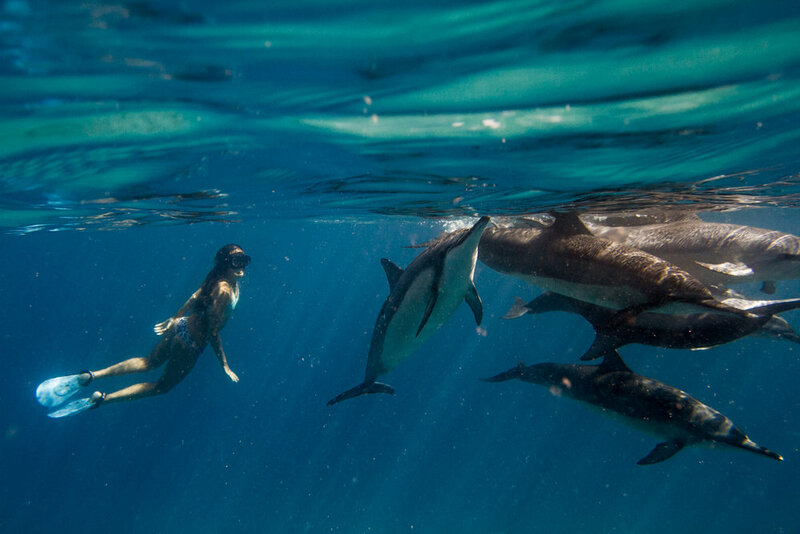 Outside of creating a substantial career out of all her passions, Noelani holds a love of spending time in the ocean, between swimming, surfing and freediving. This love led her to meeting Tiare through MySpace in 2009. The two friends connected on social media over their appreciation for one another’s photos of surfing and time spent in the water that they decided to meet in person one day. Eventually, Tiare asked Noelani to model for her magazine launch party, and the two leaned on one another as they went through their divorces together. One day, Noelani invited Tiare to a vision board party at her friend’s home where Tiare spent hours creating her vision board. Soon after the two dreamers would constantly call one another saying, “Oh my God, it’s all happening!” Their dreams slowly became realities and eventually Aloha Dreamboard came to life. With becoming a master of manifestation, Noelani hopes to continue expanding her jewelry business, gaining more wholesale accounts, creating conscious concert events to incorporate yoga, sound healing and jewelry, and working on creating an online program to empower women through birth and mantra. She hopes to design more experiential jewelry while also providing the proper launch of her album.